The best way to relax is to have a sauna evening with your friends. 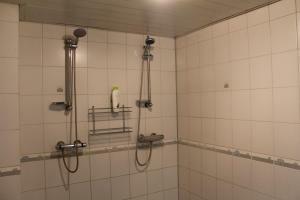 Our sauna feels quite mild at first but when you throw some water onto the stones, the steam can get quite sharp. It’s a genuine fire-fueled sauna, and you’re free to whisk as much as you like. 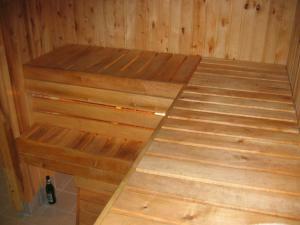 The sauna can host 6-7 people at once.